GENEVA, Switzerland, September 13, 2013/African Press Organization (APO)/ -- On Monday (9/9/2013), IOM in close collaboration with UNHCR provided transport for a group of 71 Ethiopian stranded migrants who boarded three buses to safely return to their country. The migrants have been living rough in Hargeisa. Thousands of Ethiopian migrants board unseaworthy vessels in the town every year to cross the Red Sea to Yemen and travel from there to the Gulf countries and beyond. UNHCR selected the 71 individuals from the most vulnerable migrants who expressed a desire to return home during a registration process. Most of them had endured months of hardships at the hands of smugglers and had no means to return home. Vulnerable migrants continue to move from the Horn of Africa to Yemen and beyond through well-established smuggling and trafficking networks in the region. At the Migration Response Centre (MRC) in Hargeisa, IOM carried out pre-departure health checks and provided the migrants with food and drinks to sustain them throughout their journey. Many in the group had not eaten a decent meal in weeks. The movement was conducted in close collaboration with the Ethiopian and Somaliland authorities, both of whom are committed to managing mixed migration flows in the Horn of Africa. This year alone, IOM has supported the voluntary return home of 123 Ethiopian migrants stranded in Somaliland and Puntland. 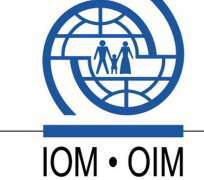 This operation, part of IOM's Regional Mixed Migration Programme, was funded by the U.S. State Department's Bureau of Population, Migration and Refugees (PRM).